Laurel Sucsy’s recent paintings in her show, Chasing the Rabbit at the Clough-Hanson Gallery, act as deeply personal vignettes of the artist’s experiences both in the world and in her studio. 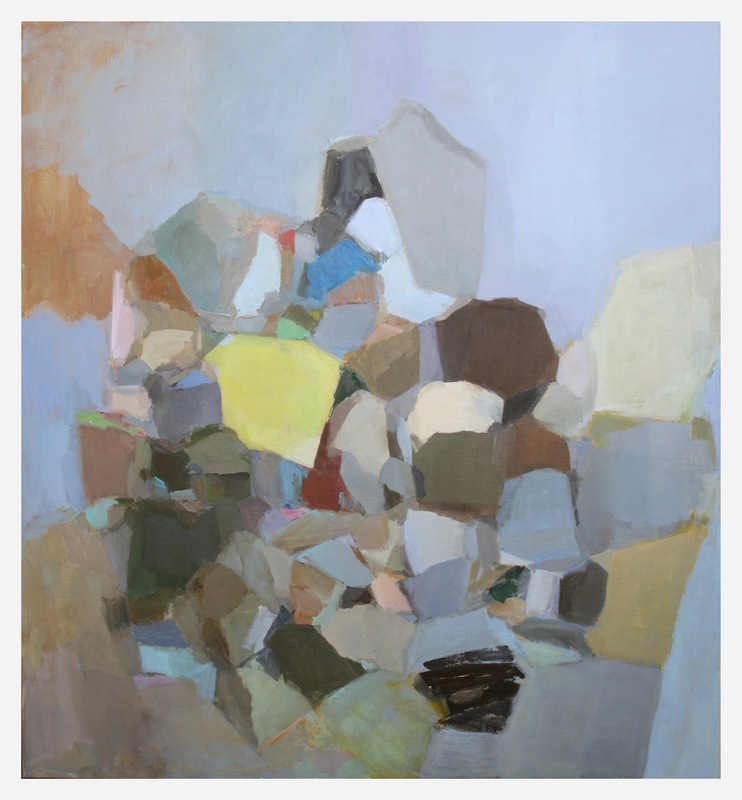 The abstractions of color in her works echo familiar settings, scenes and emotions from daily life, but also reveal her artistic process of bringing the individual paintings to life. At the forefront of the numerous juxtapositions that Sucsy creates in her paintings is the contrast between the recognizable and the abstracted. Sucsy’s work becomes reminiscent of looking through a kaleidoscope at a familiar landscape that has been abstracted by the mirrors and glass within. This abstraction allows the paintings to allude to a place, story or experience that is inevitably reinterpreted from one viewer to the next, making the work an intimate and personal experience for both the viewer and the artist. This body of paintings demonstrates the work’s ability to oscillate delicately between opposing forces, while achieving harmony amidst these contrasting elements. In each of her paintings, Sucsy’s juxtaposing of colors, brush strokes and speed create a microcosm of marks and gestures within that lead the viewer’s eye around the canvas and through the architecture of the fractals of color. Throughout this body of work the viewer is able to sense the speed and urgency, with which Suscy has rendered particular areas of the painting contrasted with the more sensual, opaque passages rendered with a slower hand. 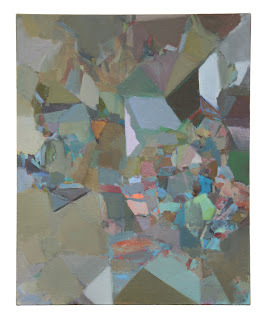 In Sucsy’s Dark, the viewer’s eye is immediately drawn to the quick, dry brushstrokes of the cobalt passage near the center of the painting, and is then drawn to the similarly rendered pale aqua and yellow shapes on the right side of the painting. However, as the viewer’s eye moves about the canvas in a circular motion and is led between the swathes of scumbled paint, our attention becomes captured by the luxurious pools of subtle browns and cool greys found throughout. While each of the paintings greet the viewer as abstractions of color, they gradually unfold as personal stories of the time that the artist has spent with the painting, and ultimately as stories of the artist’s world. Evidence of the decisions that Sucsy makes in building each of these paintings can be found in the careful layering of shapes and colors. As in the painting My Home is the Sea, Sucsy allows her canvas to act as chronological record of her time spent with each painting and the process of creating the final work. In this painting the viewer’s eyes are drawn to the bolder hues in the center of the work, but then as one’s eyes begin to navigate the fractured layers of pigment, small glimpses of bright colors peek through the cooler tones of the final layers of paint. The shards of color layered beneath more recent strokes of paint act as the afterglow of Sucsy’s previous experiences with a particular canvas – a reminder of an earlier experience or emotion that has since been built upon. The beauty in Sucsy’s work is that it not only acts as an intimate diary of the artist’s time spent with each work, but becomes a unique and individualized experience for each viewer much like how the view through a kaleidoscope becomes distinct for each person. Amongst her various stylistic juxtapositions, Sucsy manages to strike a balance between the contrast of conveying specific emotions and sentiments using an abstract language. 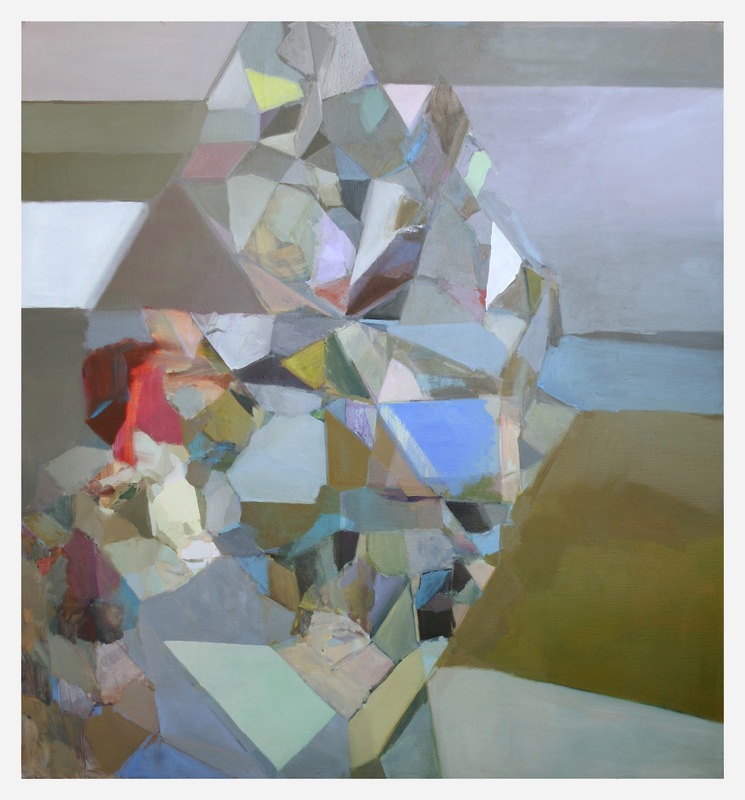 The layers found within Sucsy’s work engages her viewers as they reveals fragments of the story of where the paintings have been and how they came to be. Laurel Sucsy: Chasing the Rabbit is currently on view at the Clough-Hanson Gallery at Rhodes College though March 30, 2012. The gallery is open Tuesday through Saturday from 11am - 5pm, closed Sunday and Monday. Whitney Ranson is the Director of Public Art at the UrbanArt Commission.